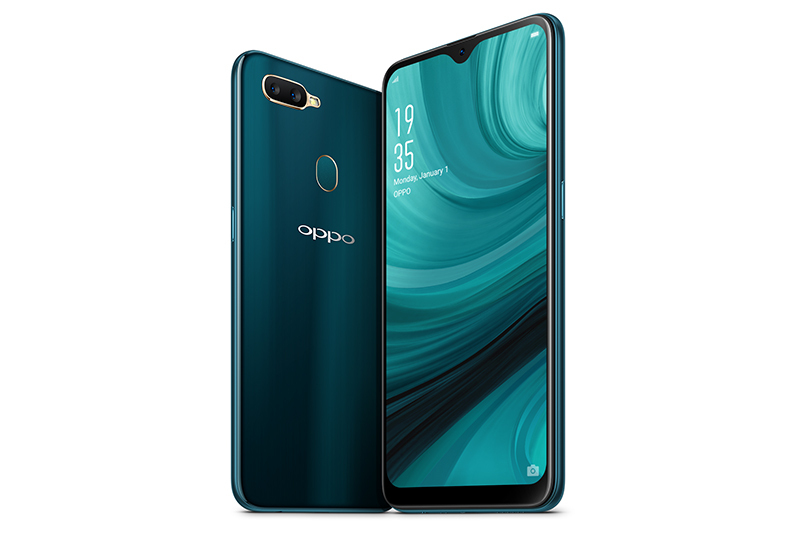 03/04/2019, London UK, With industry first big batteries and affordable pricing, the A series has been among OPPO’s best-selling smartphones since launch. The A3s created headlines with its huge battery while the OPPO A5 introduced more fashionable features such as its diamond-shaped texture. And now, the new OPPO AX7 doubles down on the two important features that customers value most with a 13+2MP dual rear cameras plus 16MP front camera and 4230mAh huge battery. AX7 also now introduces something entirely new to the A series; a unique Waterdrop screen plus premium texture on the back cover. The Glaze Blue colour with its entry-level price of £199, is a truly high-end design smartphone, available now at Carphone Warehouse . OPPO has always believed a smartphone is not just a tool for communication, but more importantly, a piece of art. The screen occupies almost all of the AX7’s display except for a small droplet shaped notch. We call it “Waterdrop Screen”, inspired by a water drop that is about to fall. 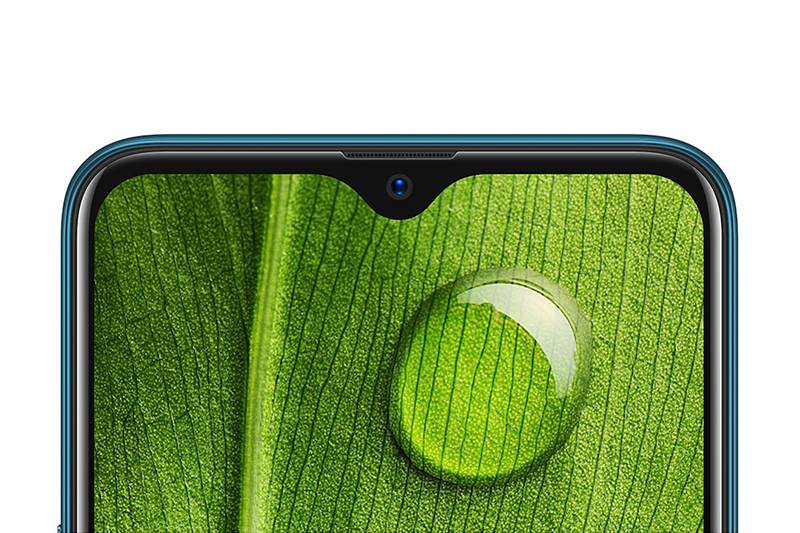 The tiny water drop contains a 16MP front camera and sensors that makes AX7 the phone with the highest screen to body ratio of the OPPO A series. With the 6.2 inch HD+ Incell Screen, the screen to body ratio of AX7 is 88.4%, providing a more immersive using experience no mater playing games or watching videos. The AX7 also applies Corning Gorilla Glass, providing greater resistance to scratches. Now you don’t need to worry about dropping the phone on the floor or anywhere else for that matter. OPPO AX7 is designed to be a piece of art and our designers considered every detail including materials, crafts, textures, and even the colors of the back cover. When you hold AX7 in your hands, you can feel how thin, light, and comfortable it really is thanks to the 3D thermally bent sheet, modified hundreds of times to perfection. With the glass-like cover; you can feel the fine and smooth texture with the Grain Pattern. The perfect combination of glass-like finish and Grain Pattern presents a sense of purity and premium while adding interesting texture. Another carefully considered detail is the middle frame; frosted and in contrast to the grain texture of the back cover, it makes AX7 even more graceful while remaining low profile. To create a high-end and fashionable look, we selected two colors from hundreds of options to create a color solution that subtly shifts depending on the light. Finally, no matter whether you want a stylish phone or a phone that can show your calm personality, Glaze Blue is suitable for you. With the beautiful design and colors, OPPO is once again leading in smartphone aesthetics. No matter how smartphone products change, OPPO always keeps bringing the best shooting experiences to customers. OPPO AX7 is equipped with 13+2MP dual rear cameras plus AI Beautification. The front camera is enhanced to 16MP with F2.0 aperture, which makes for more outstanding selfies. Moreover, AX7 uses a wide-angle front camera, which can contain more scenes when taking photos, especially helpful when taking group photos in a narrow space. AR Stickers is also a new feature of AX7. Ordinary stickers only follow the movement of people’s faces while the new AR stickers allow more personalization – in simple it lets you have more fun! 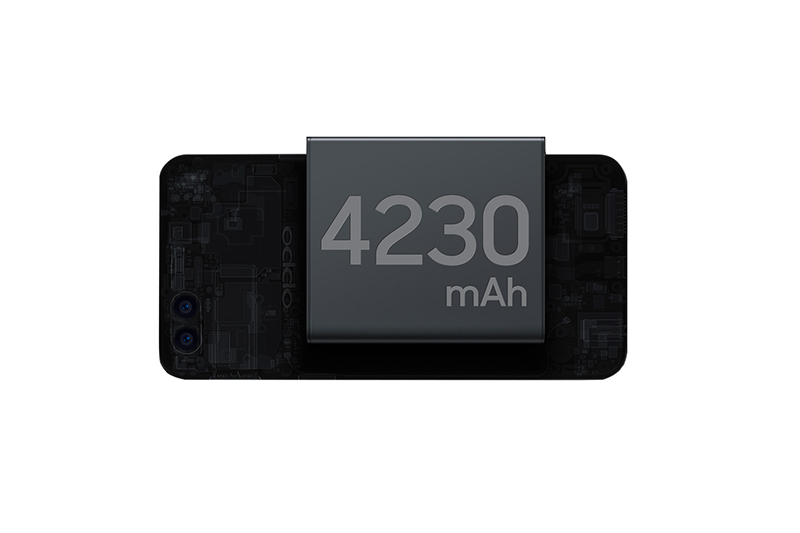 Since the launch of A3s, its 4320mAh battery has gained great popularity with customers. The next in the series, A5, also received great comments from users due to its long battery life. To provide better user experience, AX7 continues to come with a 4230mAh battery, which frees you from the concern of battery drain during your day. Besides, smart and thoughtful AI battery management freezes inactive apps and reduces excess caching to save more power. Through the powerful "Smart Bar", AX7 not only supports horizontal "full screen multitasking" but also supports vertical full screen multitasking. The Smart Bar can be triggered by sliding at both sides. In addition to the existing functions of full screen multitasking, Smart Bar also supports quick file sharing, screen recording, screenshots, and many other shortcuts. In 2018, OPPO was ranked as the number 5 smartphone brand globally, according to IDC. And today, OPPO’s business has covered more than 40 countries and regions and has 6 research centers worldwide dedicated to creating a better life for customers around the world.